With summer upon us, it isn’t too early to start thinking about our annual Postural Restoration Certification (PRC) examination process which takes place on December 10-11, 2012! Although the deadline for applying is September 15th, it’s not too early to start planning and preparing your applications. Early applications are also welcome to be submitted for review! Please email me if you are considering PRC and have any questions at all. In addition to providing answers to your questions, you can be put in touch with a PRC Therapist who can share with you their personal experience and discuss with you the benefits of certification. Ron Hruska, MPA, PT will be presenting at the 3rd Annual DePaul Sports Medicine Symposium in Chicago, IL on June 22, 2012. Ron’s presentation will be titled “Postural Restoration: Concepts and Treatment in the Athletic Training Room.” CLICK HERE to view the Symposium Brochure which includes the full agenda and speaker information. If you are in the Chicago area, and are interested in attending, you can Register Here! CLICK HERE to check out our new Featured Interview with Brent Albrecht, CSCS, CES, PES, PRT. 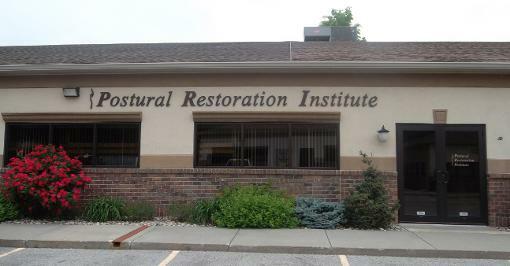 Brent was one of the first to earn the designation of Postural Restoration Trained (PRT) among the 2012 class. What is Inferior T8 Syndrome? Mike Cantrell, MPT, PRC has been busy writing again! Check out Mike’s most recent article on Inferior T8 Syndrome! Lori’s most recent video blog discusses the importance of trunk rotation with the runner. CLICK HERE to check it out! Speaker James Anderson, MPT, PRC recently shared this email success story that he received after teaching the Myokinematic Restoration course in Seattle, WA in April. It’s great to hear the outcomes these attendees have with their patients and themselves! “I just wanted to say thanks for coming out to WA to teach the Myokinematic Restoration class. I used it ALL week with patients from severe TOS/IBS to Plantar Fascitis, LBP, hip pain, pre and post-partum, cervical pain, basically every single one of my patients!! However, the person I used it on the most was myself. I have been battling night time bilateral hand numbness for a year both median and ulnar distribution, mostly ulnar. I have a mild to moderate scoliosis. I wake with dark bags under my eyes and feel as if I dream all night. In the past year, I have had cervical films, 20+ therapeutic massages, 15 manual PT visits and 7 chiropractic visits. In just a week following the class, I have been “repositioning” 4 times/day using the 90/90 hip lift and all of the other re-positioning tips for standing, sitting, etc. I have had 6 nights of NO hand numbness and excellent sleep. I have a capnography unit to measure my CO2 levels and O2 sats. My respiratory chemistry has improved greatly. My left hamstring strain is gone, my left anterior hip impingement pain is significantly better as well as my right heel pain. I feel as if I can finally flex my lumbar segment a bit. I feel more energized and feel it is easier to breathe. I crave re-positioning as I have NO “hole control”. I will re-position after sleeping, before and after a walk, before and after work, chores, sitting at the computer, etc. Mike Cantrell, MPT, PRC recently sent us these photos taken of a young patient at his clinic. We have extended our early registration deadline for our June 1-2, 2012 Postural Respiration course in Lincoln, NE to THIS Friday, May 11th. This will be the only time this course will be hosted in Lincoln and the only time Ron Hruska will be teaching Postural Respiration this year. Don’t miss this opportunity to learn from the director of the Postural Restoration Institute in a smaller, classroom setting! If you are interested in attending this course, please register online or call today! We are starting to plan our 2013 course schedule a little early this year! If you are interested in hosting Myokinematic Restoration, Pelvis Restoration, Postural Respiration, Impingement & Instability or Cervical-Cranio-Mandibular Restoration, please contact Paige or fill out a Host a Course form today!